Note that you don’t have to do any work in a group if you don’t want to, and that co-counselling is originally conceived as a pair-work activity. The following list of interventions taught on the course is not be self-explanatory, but it may give you a gist of things, or whet your appetite. The interventions are a combination of verbal work (talking – using words etc) and non-verbal work – sound, posture, body movements and feelings etc. The individual chooses what interventions are useful for them i.e. 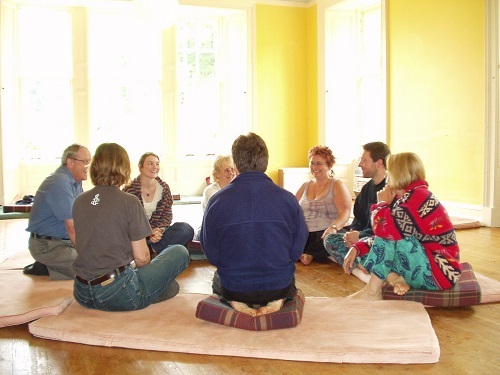 each person is completely free to develop their own way of using co-counselling techniques.